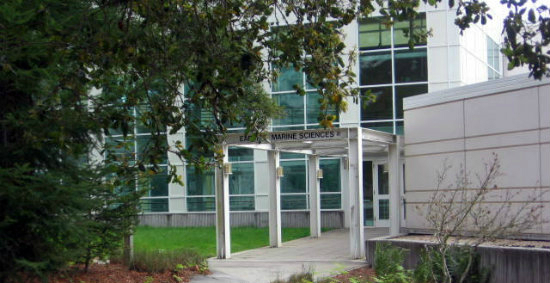 Our office is located on Science Hill in room A232 of the Earth Marine Sciences Building. 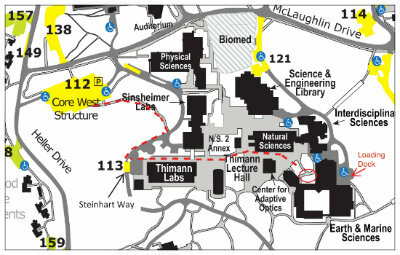 Complete information about all parking options can be found at the red kiosk near the main campus entrance at the intersection of Bay and High Streets. As you enter campus along Bay street, you can pull over and park at the red parking kiosk visible on your right. The kiosk, which is open 7AM to 8:30PM, M-F, provides parking permits, maps and other help for visitors. Please proceed to Core West Parking. Both visitor daily permits and hourly pay station parking are available at Core West.